Notifications keep you up-to-speed about the latest Re-TRAC programs, blog posts, and software features. Just click the bell icon to view the latest notifications. You can see all your notifications at once by clicking view all in the fly-out. Keep your notification center organized by dismissing the notifications you’ve already read and keep in mind that all notifications will automatically disappear after 365 days. 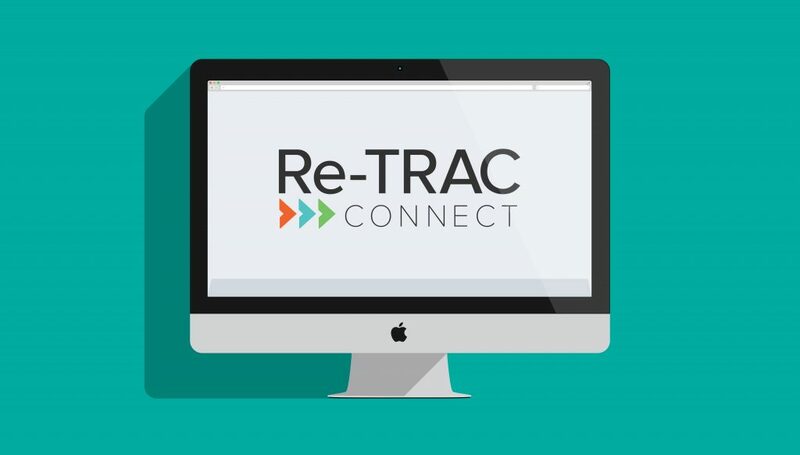 We’re counting down the days to the Resource Recycling Conference and always look forward to connecting with Re-TRAC users from across North America. Don’t miss this premier recycling industry event and make sure to visit us at the Re-TRAC Connect booth. Many organizations today rely on web-based software to communicate, collaborate, and organize information with unprecedented ease. While web applications are by no means a new innovation, they have become very sophisticated in recent years. It seems like there’s an app for just about everything these days, but why? Web apps are designed to optimize workflows by automating tedious, time-consuming, and labour-intensive tasks. They’re also far more accessible than their predecessor – the desktop application, which is limited to being installed on one computer or network. Web apps, on the other hand, allow multiple team members to log in and work collaboratively from wherever they have internet access. This means that team members can easily collaborate; even at great distances from one another. As a result, organizations often experience a significant productivity boost upon switching to a web-based software application. So what makes legacy systems so inefficient? Thank you to the Tennessee Department of Environment & Conservation, the U. S. Environmental Protection Agency, and the Southeast Recycling Development Council for organizing a very successful Measurement Matters Summit. Professionals from across North America converged in Chattanooga, Tennessee to discuss measurement issues and opportunities, data collection strategies, and effective data analysis. The event’s success proved that people working on sustainable materials management recognize the importance of having good data and using it to measure progress, improve programs, and inform public policy. Consistent and accurate measurement should be at the heart of every materials management system. Measurement is critical to the effective management of resources, efforts, and results. It’s also important that industry leaders and program managers speak the same language. Register to attend the Measurement Matters Summit to learn new reporting strategies, network with industry leaders, and discuss metrics to improve waste & recycling programs. Leaders from across North America will meet at the Downtown Marriott Event Center in Chattanooga, TN to discuss the future of measurement in materials management systems.